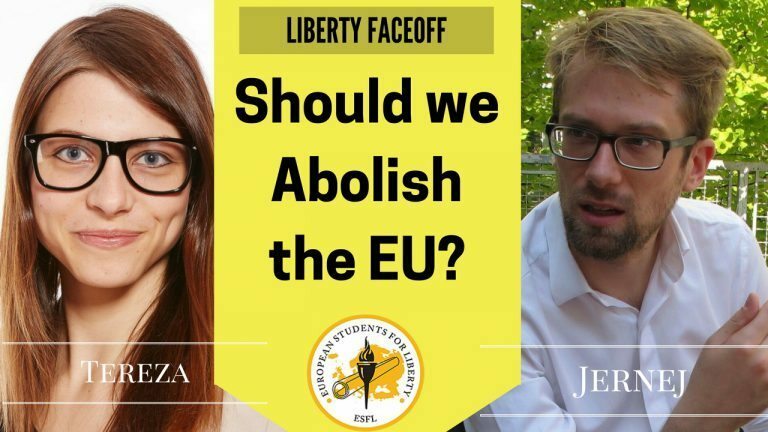 In this first Liberty Face Off of February 2017, Tereza Sladkovská and Jernej Kosec will take on the European Union debate from a libertarian perspective. Is the EU a bureaucratic, freedom trampling moloch? Or do its institutions guarantee us piece and prosperity like Europe has never seen before? Should we abolish the EU? The answer to this question is complicated and it is impossible to keep it simple. Let’s try it this way: I would suggest to abolish the whole bureaucratic apparatus of the European Union, but to keep the voluntary cooperation of its members. I support the free market and free movement of European citizens across the continent. It is not on an irregular basis that the European Union’s legislation creates certain rules and regulations for its members. These rules do not only concern the market and finance, but also social politics, human rights etc. Many are useless and lead to a non-effective economy, for example many are consumer protection laws, others are regulations on the protection of workers, and there are many others. You can’t easily make products without knowledge of these rules, and getting acquainted with and abiding by them usually costs you some time and money. Moreover, these laws are created and validated by hundreds of mostly unknown people in the EU’s Parliament and Commission, a level of government too far away from the citizens of the EU. My view is best described by the principles of the Austrian School of Economics – let people decide for themselves; on the level of states, the decision have to be as close to the people as possible, either by the national government or by the local administration. A bureaucrat in Brussels can never wield appropriate knowledge of the place in question, such as: What is currently its biggest problem? Or what would its people be willing to invest their capital in? Even when EU legislation is proposed by national governments, the whole process of discussion is so long and complicated that the conditions of the situation can change many times. The European Union is just too rigid and can never react to current issues in time, no matter the effort. The free market and free enterprise are probably the most vulnerable to this ineffective system: various rules stating what can be produced, how it can be produced, the way it has to be labeled etc. Even when you get lucky and are able to gain a good salesground despite this huge attempt to unify and integrate everything possible, you can kiss your marvellous enterprise goodbye because your competitor has gotten an EU grant and will inevitably eliminate you. The system according to which the grant money is distributed in the EU is a chapter on its own. Members of the EU send their money to Brussel, where bureaucrats from the European Union decide how to distribute the money. Since the state taxes us for so much money, wouldn’t it be more effective to use it where it has been gathered? Furthermore, the bureaucracy of the EU is rather extensive and thus costs all its members a lot of money. The fact that the European Parliament has to move from Brussels to Strasbourg every month is known to many people. In addition, there are the salaries of thousands of bureaucrats, translators and well paid employees which feeds off the taxes paid by the European citizens, thus breaching their property rights and limiting their freedom. But can we live without the European Union peacefully and in prosperity? We certainly can. The Union could be replaced by any formation securing free movement of goods and services. Or it would be possible to agree on bilateral or multilateral pacts among the states. Did you know that free movement in the Schengen zone was originally granted just like that – by a treaty? It is the free market, free movement of goods, services, people and capital that paves the path to a successful future. It shall bring prosperity to all states, and consequently create free societies and peace. However, this is not the case with the European Union which exercises regulations and planning rather than enlarging freedom. So yes, we should abolish the European Union, and enable Europe’s freedom to be reborn. You can take the EU out of Europe, but you will never take away the tendency of states to pursue peaceful cooperation instead of war. The European integration represents the first successful attempt at unifying the continent without war, coercion, or other forms of violence. It is the best proof that states, free to act and interact in the anarchy of the international arena, will form the kind of structures which suit their interests. The results of such interaction are the EU and its institutions, notably the single market, which undoubtedly have many flaws, but it is their imperfection that testifies to their spontaneous creation. Some people want to see the world burn, but lovers of liberty should know better. The frustrating thing about discussions on the EU is that they are often oversimplified and focused only on the bunch of bureaucrats sitting in Brussels. Indeed, the European Union has a complex constitutional structure with an autonomous legal order, plus its institutions have an impact beyond the territory of its member states. The EU represents the highest stage of economic integration in Europe, but the degree of economic integration doesn’t lead to the conclusion that the EU has already become a state, completely capable of creating and executing its own policies independently of its constituent parts: The EU is unable of enforcing its own legislation by means of its own administration. It ultimately depends on the administrations of its member states to do that. Member states of the EU willingly submit to norms created in and by EU institutions. They perceive their collaboration in these institutions as something beneficial for their self-interest. This cooperation has proved to be so desirable that it has attracted many new member states and there are still many countries on the continent that want to join. Why, what would be the reason for such an attraction? The Single Market area covers the part of the world where we enjoy the highest levels of material and moral development in the world; economic and personal freedom, trade freedom and freedom of movement, freedom of the press, religious tolerance, clean environment and all the other good stuff. The rest of the European continent outside of the Single Market doesn’t have all of these. How come? By far the greatest achievement of the European integration is the long lasting absence of large-scale armed conflicts. 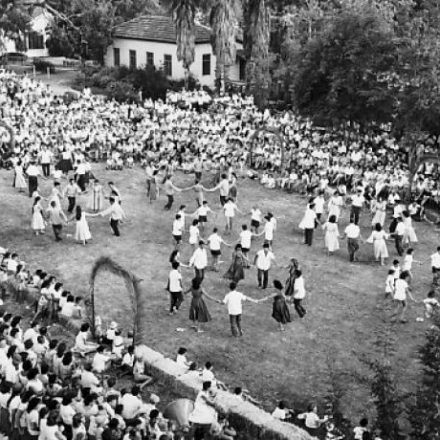 But this, in turn, was made possible only when European nations realised that peaceful competition and cooperation across borders will make everybody better off, that mutual enrichment is better than reciprocal plundering. This in itself is a fact worth celebrating. Now, you might point out that an endeavor to liberalise trade doesn’t necessitate the establishment of political institutions. But the countries participating in this trade-liberalising project decided so. So why, then, focus on on all the particular missteps, excesses, and delusions of daily policy-making of the Commission, the Parliament, the Council, the Court, the Bank? Why not, as advocates of free markets should, focus on comparing the existing situation with possible, realistic alternatives? Dalibor Roháč, author of the “Towards An Imperfect Union, A conservative case for the EU” brought my attention to the concept of the Nirvana fallacy, described by the economist Harold Demsetz, which stands for comparing an obviously unattainable, ideal norm with the existing imperfect institutional arrangements. So tell me honestly – do you think that a return to nation-states would truly better safeguard the freedom of movement of productive factors in Europe? Do you really think so? Or are there other reasons which compel you to bringing down the existing social order of Western, liberal-democratic institutions such as those of the EU? Do you bear in mind the unleashing of unintended consequences? Because they will come and you most probably won’t like them. Do you want to be a revolutionary? No matter the adjective, a “conservative”, “libertarian”, or “free-market” Leninist is still a Leninist. These pieces solely express the opinions of the authors and not necessarily the organization as a whole. European Students For Liberty is committed to facilitating a broad dialogue for liberty, representing a variety of opinions. 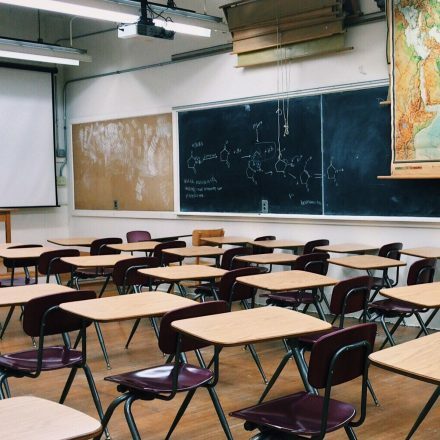 If you’re a student interested in presenting your perspective on this blog, please contact mhemelrijk@old.studentsforliberty.org for more information. Header picture source: Flickr.